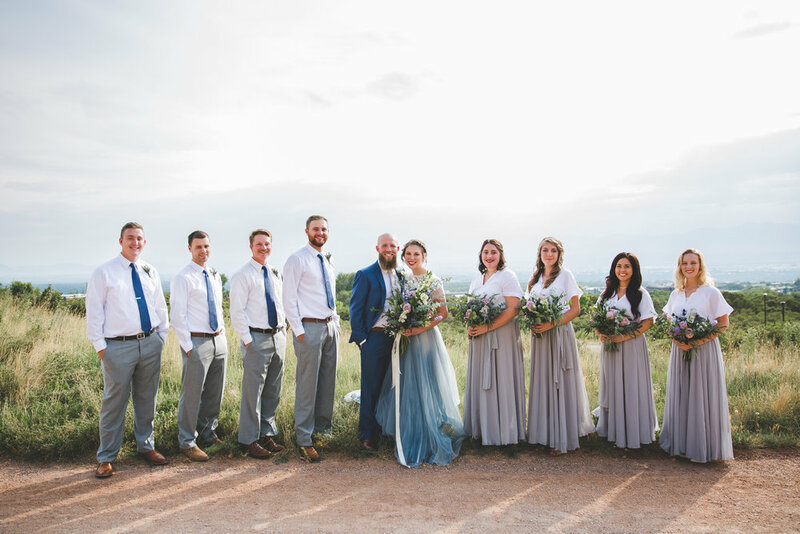 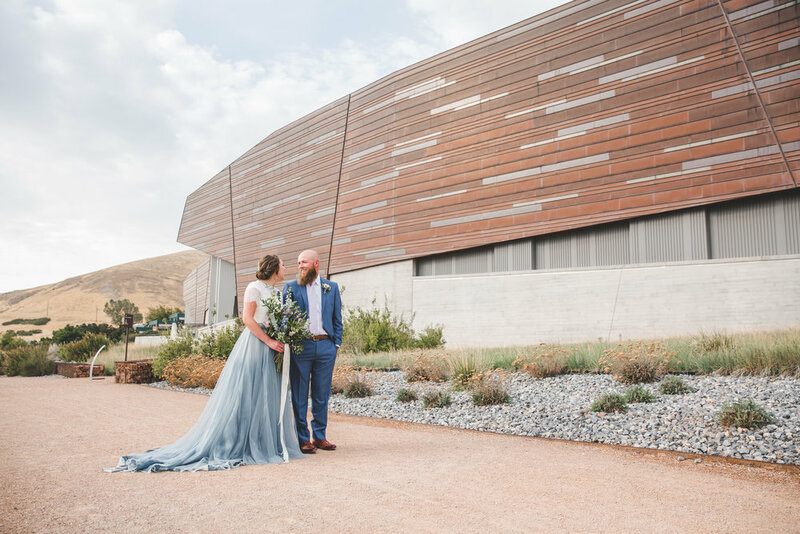 A perfect Utah wedding above the Salt Lake Valley, Alli + Levi said “I Do” at the University of Utah History Museum. 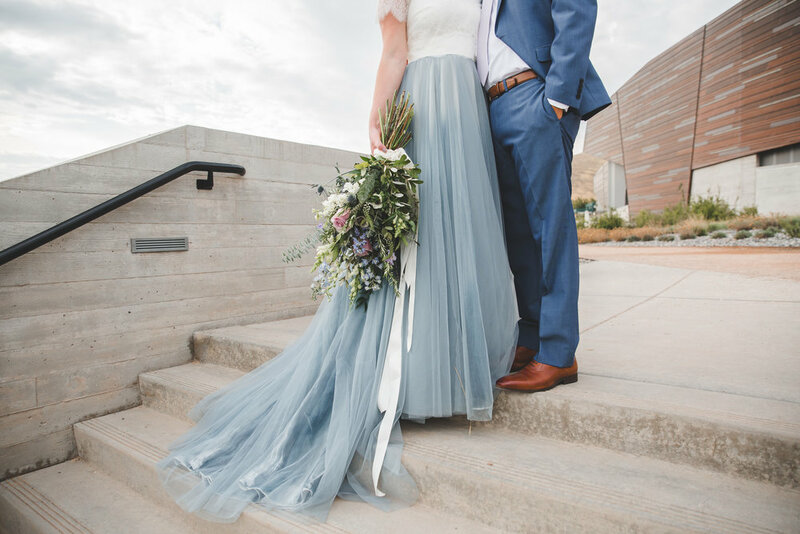 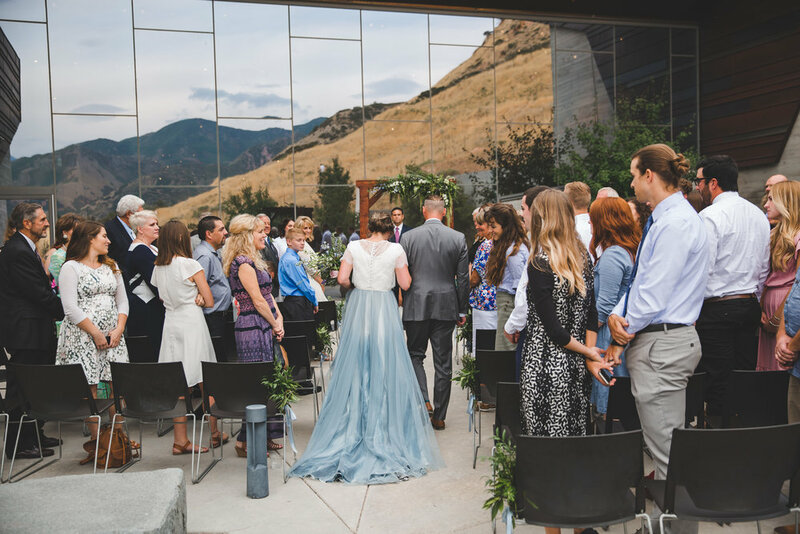 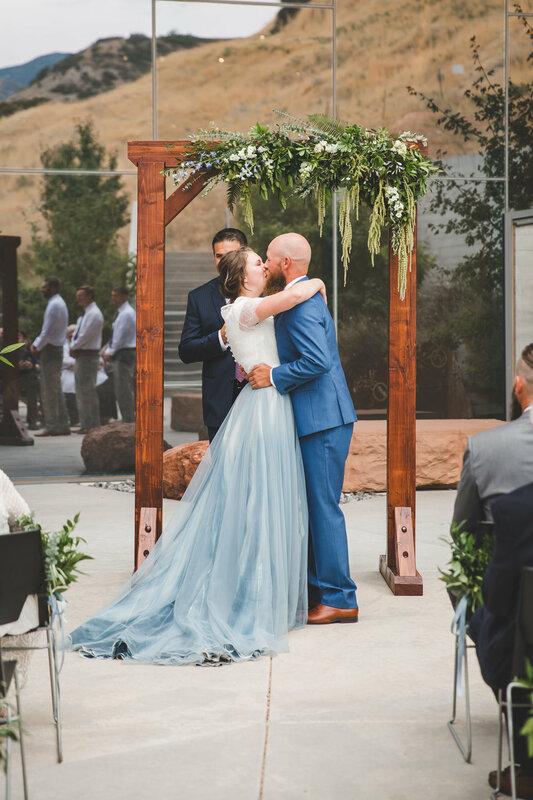 Alli found her Mae gown at our Flagship in Salt Lake City. 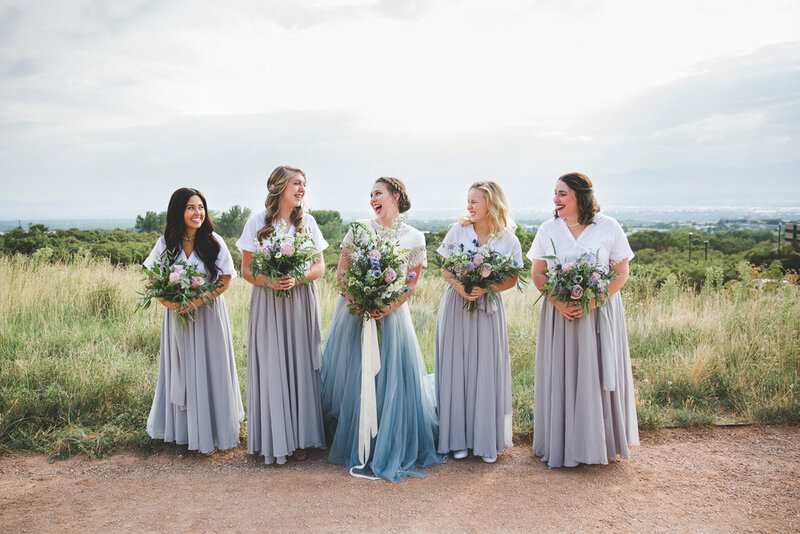 She had her gown modified for religious modesty.